The energy storage market is in its infancy, and it will be interesting to watch technology developers race to come up with reliable and affordable options as well as utilities cautiously decide whether or not grid storage will be a good fit. To help make sense of this new sector, the Electric Power Research Institute (EPRI) just released a report that lays out technology options, benefits, performance and cost of energy storage and how it plays a role in everything from managing the electric grid to managing home energy use. 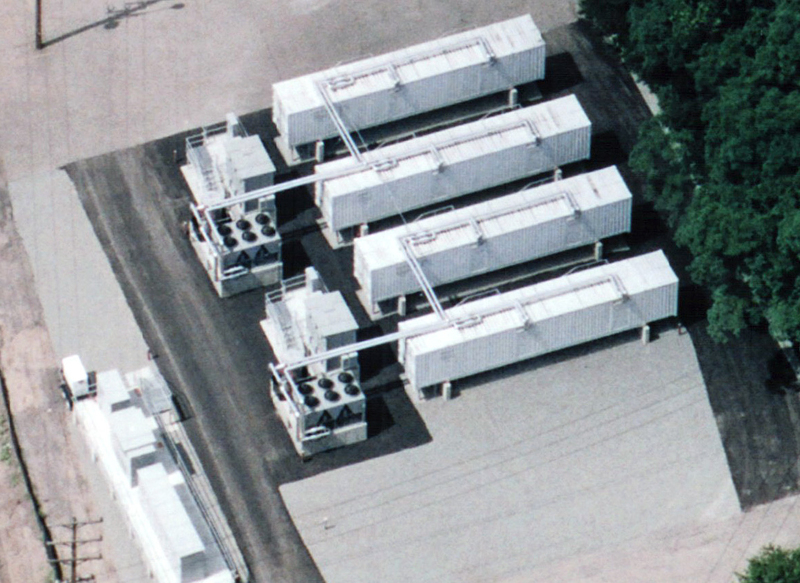 EPRI pegs this year and 2012 as turning points for the grid energy storage market, because by then, companies that have collectively received more than $250 million in federal stimulus funding are expected to complete research and development work and move into field trial stages in the U.S. The Department of Energy has provided loans and grants to a multitude of storage tech developers and utilities for R&D and pilot projects (including this list of tech developers receiving ARPA-E grants). Utilities and storage service providers that have received federal dollars include Duke Energy (s duk), Pacific Gas and Electric and AES Energy Storage (s aes). 1. Pumping Water Is Tried and True. Growth in grid energy storage is being pushed by the addition of clean power to the grid. Pumping water to a reservoir to release later to run generators, or pumped hydro, is an old approach and now makes up the biggest slice of the market. Over 127,000 MW of the global energy storage market, or a whopping 99 percent of it, belongs to pumped hydro. Compressed air is also not so new, and follows far behind pumped hydro with 440 MW. Sodium-sulfur batteries make up a third of the overall installed grid energy storage market at 316 MW, followed by lead acid batteries (35 MW) and nickel cadmium batteries (27 MW). Flywheels, which are spinning discs, take in less than 25 MW, then lithium-ion batteries (which are still expensive) follow with 20 MW. At the bottom of the list are redox-flow batteries with less than 3MW. 2. Overall Too Expensive. The price for energy storage today, in general, is too high for widespread adoption. EPRI looks at the intersection of price point and energy storage applications to figure out the potential size of the market, in which utilities, grid operators and consumers have different perspectives on what are the right price points for them. Some energy storage applications can command higher prices, because they are in higher demand, such as making sure the grid runs at a particular frequency. If the overall price for storage falls to around $700-$750 per kilowatt-hour, then the U.S. market could reach around 14 GW of capacity, says EPRI. The market will more than double that if the price falls below $500 per kilowatt-hour. Energy storage systems are measured in their discharge capacity (MW) and storage capacity (MWh). 3. Costs Vary Greatly: The cost of installing various types of storage systems depend on their size, duration of storage, efficiencies and how they are used. When looking at megawatt-scale storage systems to support hours of storage, the cheapest option is by compressing and storing electricity underground. Compressed air technologies cost between $960-1250 per kilowatt, or $60-125 per kilowatt-hour. In some scenarios, advanced lead acid battery system can be the most expensive, at $4600-$4900 per kilowatt or $920-980 per kilowatt-hour. For frequency regulation by grid operators, who will want short bursts of energy and therefore a storage time measured in minutes, the least expensive choice is lead acid batteries, which cost $950-$1,590 per kilowatt, or $2,770-$3,800 per kilowatt-hour. Lithium-ion batteries follow with $1,085-$1,550 per kilowatt, or $4,340-$6,200 per kilowatt-hour. Flywheels are the most expensive, at $1,950-$2,200 per kilowatt or $7,800-$8,800 per kilowatt hour. Lithium-ion batteries are among the most expensive choice for utilities that want storage to help them manage the grid and for industrial/commercial applications. 4. Where Are the Revenues? Power producers and retailers are more likely to invest in storage if they can generate revenues from doing so. What will really entice them is if one storage investment can provide multiple benefits and streams of revenues, EPRI said. The growing amount of wind energy is one promising market. Wind energy production tends to peak at night, and that further depresses electricity pricing in what’s already a low-rate period (off-peak) in some markets. Storing wind energy for use during peak demand would relieve that pricing pressure and provide revenue for power producers. The growth in other renewable energy generation, such as solar, also offers potentially lucrative opportunities. But EPRI cautions that those opportunities are difficult to quantify for now, particularly for non-centralized solar energy systems that are popping up mostly on rooftops. And the growing use of smart meters and electric cars will likely prompt utilities to turn to storage to balance supply and demand. 5. The Cost of Energy Systems Over Time. Upfront installation cost isn’t the only metric used to figure out if an investment in energy storage is worthwhile. As with any energy delivery systems, utilities look at the levelized cost of energy – the cost of installing and operating a system over its expected lifetime. EPRI looks at levelized cost for utilities to manage renewable energy generation and their own grid’s supply and demand, and the results show that pumped hydro and below-ground compressed air are the lowest, under 20 cents per kilowatt-hour. Zinc-bromine and zinc-air batteries, around 20-30 cents per kilowatt-hour. Lead acid batteries, on the other hand, cost more. Depending on the types of lead-acid, the range swings from around 40 cents per kilowatt-hour to around $1 per kilowatt hour. Increasing demand for energy, especially in the third world, is putting pressure on our current source of (unsustainable) energy. The search for more efficiency in supplying the public with electricity is inspiring ideas for a smart grid, an electricity network more responsive to demand and supply. A smart grid would tell consumers which hours are the cheapest to consumer electricity and would make the network bidirectional, meaning consumers could supply their own stored electricity back to the grid, perhaps in the form of an electric car battery, for compensation. What struck me about their study was that it did not mention the promising cutting edge new storage technologies being developed as we finally start adding renewables to the grid. It was almost behind the times. Batteries, shmatteries, for example. Unsustainable. No mention of storage that is being developed under rivers, under ocean, in containers, by freezing, by heat exchanging , in distributed systems like Ice Energy’s A/C or Steffes in home heaters tests for Vinalhaven wind. It is such an innovative field, with so much happening, and EPRI study ignoored all that. With California now mandating a percent of storage to be added to the grid each year as we ramp up to 33% renewable in just 9 more years, I would think regulators and others would be starting to need to see assessments of the various new storage tech ideas. Some of the new CSP projects plan to have incorporated thermal storage that is used to extend the time during which the plants can produce power. There is a plan to make thermal storage systems as stand alone methods for grid storage which is even included in the wiki article: http://en.wikipedia.org/wiki/Grid_energy_storage It seems to contain a large and diverse number of options: http://www.ipcheckups.com/CST/ This site goes further and suggests that thermal energy storage is the cheapest method to store grid energy, requires a smaller footprint and has no geological requirements: http://www.greentechmedia.com/articles/read/breakthrough-in-utility-scale-energy-storage-isentropic/ It seems unusual that it was not mentioned. The thermal storage option for CSP projects is indeed a promising one. I think the EPRI report focuses more on storage technologies that can be installed and sold independent of a power plant of any kind (even though the report does include pump hydro, pump hydro serves as an example of an old approach). This analysis is a good overview for the cost of potential energy storage technologies but there are some points not mentioned which are important for an overall look at the usage of storage in the energy grid. 1. It is not possible to build pumped hydro storage everywhere. It is only practical here the geological formations allow the construction of such large facilities. And in most cases the pumped hydro storage is far away from the areas where the most energy is used (cities, large industrial users). Pumped hydro requires long transmission lines and the cost of the transmission lines should be considered as well in such an analysis. 2. The same is true for large scale compressed air storage. It cannot be built everywhere and in the analysis it is not mentioned if the storage uses adiabatic heat storage for the compressed air which can be used to warm the air while decompressing or if the compressed air requires additional natural gas turbines to get the energy back. 3. Large (and small) battery based energy storage can be installed everywhere. It may be cheaper to install a local energy storage facility to cover increased peak loads compared to the upgrade of an existing transmission line. 4. With the rise of renewable energy sources like solar and more important wind energy distributed storage will be required which is able to absorb the excess energy and can feed this energy back when generation is to low. 5. There is the idea of a new energy storage by lifting a large mass (granite)with pressurized water which can store large scale energy and work like a pumped hydro except that not water is lifted but the large mass. The idea is to cut out a cylinder with 1 km radius and 1 km height out of a granite rock formation and to lift this cylinder with pressurized water (250 bar). When the storage is unloaded the water will drive water turbines much like in an pumped hydro power plant. The prove of concept is still to be made that this kind of storage actually works but it is a promising concept for large scale energy storage (TWh range). Thanks for the added analysis. I donâ€™t think price is necessary the most important metric either. Now, this thing about cutting granite is a bit strange. Wonâ€™t you have to make a big dent on the side of a mountain to get that mass?! Seems like a lot of trouble. This idea sounds weired but to solve the energy storage challenge we may need unconventional thinking and maybe a trial. This kind of storage seems more feasible to me than e.g. a commercial fusion reactor which is (and will be) always 50 years away.